Volunteer project: The town of Limonest is located in the North of Lyon urban area. Small town where living is easy, very attached to its natural and historical heritage, it has hosted international volunteers three times in the past years. This is an important project with many different work and leisure activities, and many meetings with the local people. The work will be held on the site of the “Batterie des carrières”, a former military fort dating back to the late 19th century. Many local volunteers, passionate about their heritage, will accompany you. Volunteers will work on the following projects: consolidation of a new walking path leading to the lime kiln; refurbishment of the lime kiln; door repair; repair of a staircase; masonry work on a wall; gravel laying on the pathways; strengthening the access to a gateway. These projects may be physically demanding. Work is 4 to 5 hours a day, 5 days a week. Possible free time activities: Visit to Lyon (Fourvières, Croix Rousse, Cathedral, Place des Terreaux, Museum of Arts, park and zoo of la Tête d’Or…), hiking in the Mont d’Or and the Beaujolais wine region, visiting vineyards, swimming, dinners and parties with locals, participation in local celebrations (fireworks, concert). You will be in charge of organizing an international dinner for the local people during your stay. Accommodation: You will be accommodated in a municipal building. Mattresses will be provided. Please bring your own sleeping bag. Location: The town of Limonest is located a few miles away from Lyon, in the Mont d’Or region. The Monts d’Or offer hilly landscapes and beautiful natural and historical heritage. With the many local organizations and volunteers involved in the project, you will have the opportunity to learn about the region and its history. Volunteer project: Borobudur Temple Compounds is the largest Buddhist temple in the world. Nominated as a World Heritage, the Borobudur Compounds has the most complete Buddhist relief. There are approximately 2.9 million people who come every year to see Borobudur and learn about its history and philosophy. However, people living nearby the site see Borobudur only as a tourist attraction. Local people, who are supposed to be the first guard line for sustainability and preservation, mostly work as vendors at the Borobudur Temple Compound. We want to raise the awareness of local people to be more involved in preserving their own cultural site. We believe that Borobudur Temple Compound should be preserved not only by visitors who come to Borobudur, but also by people living nearby. The project aims to raise the Borobudur heritage issue among the local community and to improve local participation in preserving Borobudur as their own culture. The volunteers will create fun atmosphere for children in the village for studying about Borobudur Temple Compound and its history by storytelling, games, drawing, etc. The team will prepare creative media and will run a campaign for promoting the local heritage and raising awareness among local people. Accommodation: In a volunteer house, sleeping bag is needed. Volunteer project: The municipality of Mielan wants to host a group of international volunteers to enhance its built heritage and promote exchanges with the local population. For this first project, the town invites you to participate in development work at the church of St. Barthelemy. The main focus will be on works outside the church, on a wall and a small garden: joints to restore and clearing work. In case of bad weather, there will be cleaning and painting tasks inside the church. Accommodation: The volunteers will be housed in the dojo (multipurpose room). Mattresses will be provided but you need to bring your sleeping bag. Location: Mielan is a town located in the Gers on the national road 21, halfway between Auch to the north and Tarbes to the south, and 13 km southwest of Mirande, between Osse and Boues. Mielan has some examples of medieval architecture including half-timbered houses, but many mansions or public buildings also belong to the Second Empire style. The town has four churches and a chapel. In the center of town, the Saint-Barthelemy church is a neo-Gothic building with an imposing neo-Roman bell tower visible in the distance. Its construction began in 1869 but the bell tower was built in 1900. Volunteer project: Attention all architecture and heritage lovers! A great project is organised, with historical discoveries and friendly meetings. International participants will join efforts with French volunteers for the restoration and promotion of the regional heritage of Viviers, a splendid little town in Ardèche near the Rhône river. They will work on several historic sites, in particular a large Renaissance residence in the downtown and an old working-class city. In partnership with Viviers town hall, international volunteer projects took place in the past 4 years. Local people will be happy to help you discover their city and its surroundings. The international team will work with local volunteers on the two historic sites that are the pride of Viviers. If you are interested in construction and architecture, this project is made for you! Volunteers will continue the rehabilitation work on the South Wing of the House of the Knights, which is a magnificent mansion from the Renaissance whose superb facade is one of the monumental jewels of the town. Volunteer tasks include: stone cutting of a frame to close a door, renovation of the cellar, finalizing the coating of the vault. The group will also clear the backyard and level the ground to facilitate the evacuation of rainwater from the yard. The second work site is Cite Blanche. The Viviers-Le Teil factory is the birthplace of the world’s leader in cement production Lafarge. The factory and its Cite Blanche (White City) represent the organization and architecture of the workers' cities in the 19th century. This former working-class city is classified as a historical monument since 1995. It houses an interpretation center on the working life in the city, the history of the factory and work in the quarries, the techniques of tile-mosaic, roofing, work of stone and wood. The volunteers will help improve the exhibition spaces and the visitors experience at Cite Blanche. They will also arrange a walkway which is currently covered by vegetation. Possible free time activities: Special evenings and meals will be organised during the project. Along with the local volunteers, you will have the opportunity to discover the region and its history: visits of the old city and historical sites in the surroundings, markets, hiking, kayaking on the Ardèche river, nautical base. The local people are very enthusiastic to welcome the international volunteers! Accommodation: The group will be hosted in a building in the city center. Mattresses will be provided but don’t forget to bring your sleeping bag. Location: Viviers is a beautiful city of 4.000 inhabitants that overlooks the Rhône Valley. It has an important architectural heritage and a very nice and warm weather. A lot of meetings with the local population will be organized during your stay. Cultural discoveries and good atmosphere are guaranteed! 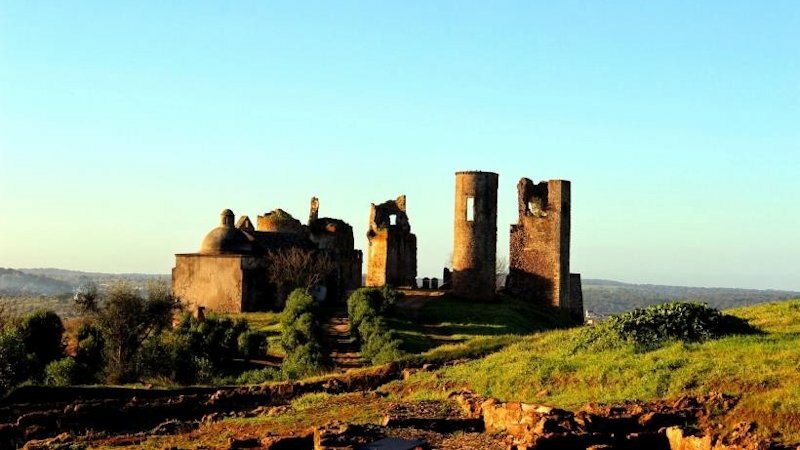 Volunteer project: The Medieval Castle of Saint-Barthelemy and its chapel stand on a hill just above the gorges of Arize, in the municipality of Durban-sur-Arize. The aim of this project is to go further in the conservation of these buildings and continue the protection of the site, secure access to the castle and complete the development of a permanent visitor and volunteer center. A group of international volunteers is invited to help in this project for the fifth time. The volunteers will take part in various maintenance and development projects on the site of the Château Saint-Barthelemy. This includes restoration of walls (masonry work), clearing of vegetation, etc. The group supervisor will tell you stories about the castle and will teach you traditional restoration techniques. Possible free time activities: Located in the heart of Séronnais, the site offers many hiking opportunities. Local volunteers will offer you an introduction into archeology and rock climbing. Accommodation: You will stay in tents on the grounds of the castle. Please bring your sleeping bag. Housing conditions are simple and basic (dry toilets and solar showers). The project is for those who love peace and nature. Access to the castle is only by foot (15 minutes up a steep path from the village). Location: Located halfway between Foix and St Girons, Durban-sur-Arize, crossed by Arize, is a charming village in the Ariège part of the Regional Natural Park of the Pyrenees. With the castle overlooking, the village has a remarkable built heritage with many preserved stone buildings. The Castle of Saint-Barthelemy is an ancient medieval fortress dating back to the 11th century. Volunteer project: The municipality of Bramevaque and the district council of Barousse are committed to maintain and restore the remains of the castle of the Earls of Comminges which attracts many visitors. For 23 years now, the small village of Bramevaque has been hosting international volunteer projects every summer which makes it possible to carry out this task and to create an original event in the village. Supervised by an experienced mason, the group of volunteers will continue the conservation of the remains of the castle of the Earls of Comminges in Bramevaque. The work activities include clearing the overgrowth, masonry, building small stone walls. The site welcomes several hundreds of visitors in the summer months. Possible free time activities: Hiking, swimming in the river, visiting prehistoric caves, the famous Abbey of St Bertrand de Comminges, the water sports resort of Antignac, the Barousse museum. Accommodation: You will stay in tents on the grounds of the castle. Don't forget your sleeping bag. 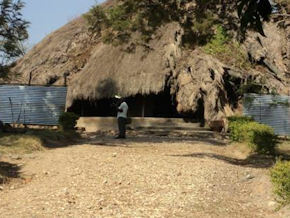 The living conditions are very simple and basic (dry toilets and solar showers). The project is suitable for nature lovers. Access to the castle is only by foot (10 minute walk up a steep path from the village). Location: Bramevaque is a charming rural village of 30 residents, at the foot of the Pyrenees mountains marking the border with Spain. The site offers beautiful landscapes and viewpoints. The Barousse valley is one of the most remarkable valleys of the Pyrenees; it is also on the itinerary of the “Tour de France” cycling race. The nearest cities are Montrejeau (15 km) and Toulouse (25 km). Volunteer project: Perched in the Bourbon mountains, Châtel-Montagne is a village of artists located 25 km from Vichy. With a magnificent church of the 13th century, Châtel-Montagne is a place steeped in history. It was a renowned barony, where some of the greatest vassals of lords of Bourbons reigned in the 11th century. The remains of the medieval castle still exist. Today Chatel-Montagne is a vibrant village with many art and craft workshops (painting, stone carving, woodturning, glass engraving, etc.). The municipality has set up a circuit trail that allows tourists to discover the town through the resolution of enigmas. The trail passes by the ruins of a medieval castle, listed as a Historic Monument. The ruins are battered by time and nature: storms in fall, snow in winter, lush vegetation. So the castle is in great need of maintenance and rehabilitation. Volunteers will help enhance the central part of the castle, which is now overgrown with vegetation, by clearing the ruins. A technical supervisor will teach you the necessary techniques. The work takes place in the morning, for up to 5 hours. Possible free time activities: Hiking, climbing, riding an electric bike, soccer tournament, meeting local artisans to experience the culture of Auvergne. Accommodation: Volunteers will be accommodated in an apartment. Don't forget to bring your sleeping bag. Location: At the heart of the Bourbonnaise Mountain, Châtel has a rich architectural heritage in a remarkable natural setting. Châtel is very lively in the summer with fireworks, craft festival, festival of the Rivers, concerts, which bring together all surrounding communities. Volunteer project: Luzech is located in the Lot department in the heart of the Cahors wine region. It is surrounded by the River Lot which forms a peninsula. Occupied since the Gallo-Roman period, the city of Luzech was fortified in the Middle Ages, and different citadels and castles were built over the years. 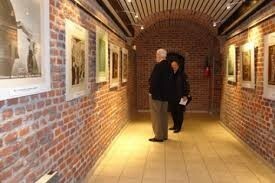 Today Luzech has a rich historical heritage, which is maintained by the city and its volunteers. Local associations participate in the life of the town and organize activities in the community gardens located below the Luzech tower. The international volunteers will have various tasks in the town: continue the restoration of a gate that was started last year, cleaning and beautification of Rue des Mariniers, fixing of plaster joints on some walls, painting of the St Pierre Church and an adjacent gate, restoration of a wall near the Notre Dame Church (minor masonry repair on the external walls, restoration of stones and brushing), restoration of the wall of the cemetery of the Church of Fage, replacing of stones and cleaning. A retired craftsman will supervise the work activities again this year. Possible free time activities: You will be able to participate in the various events that will be held in the town, while discovering the surroundings. The natural riches of the Lot will invite you to beautiful hikes among the vineyards. You will have the opportunity to visit the sacred village of Rocamadour where old stone houses, majestic towers, churches and a castle cascade off the cliff into the Alzou Canyon and the Padirac Chasm (Cave) which is one of the most extraordinary natural wonders of France. Accommodation: You will be lodged at the municipal campsite in tents. Please bring your sleeping bag. Location: Luzech is a very active community, with many events happening regularly. With about 1500 inhabitants, Luzech offers a variety of leisure activities. Volunteer project: The diversity of the natural and built heritage of Besse-Et-Saint-Anastaise (the full name of the town) gives it a special atmosphere and charm. It is located in the heart of the Auvergne volcanoes in the Massif du Sancy, the highest mountain in Auvergne, and is known for its Ski resort Super Besse. The town attracts tourists both during summer and winter. Besse is also a vibrant town with a number of events happening in the area all the year round. Local residents and associations are excited to meet you in this authentic town. Besse is crossed by the Couze Pavin river taking its source from one of the deepest lakes in Europe, Lake Pavin. On the banks of the river, you can find old water mills. Two centuries ago men built these water mills to make use of the energy of the river. The mills which are now in ruins, need to be saved. The aim of the volunteer project is restoration and preservation of the mills. This would require cleaning the sites from invading vegetation and work on dry stone walls. The restoration work will be guided by a technical supervisor. The work will be for 5 hours a day in the morning. Possible free time activities: Some activities will be proposed to the volunteers such as tours, excursions, hiking, swimming. Accommodation: You will be accommodated in a small cottage in an exceptional setting. Mattresses are provided. Please, bring your sleeping bag. Location: Besse is considered as one of the most beautiful sites of the Auvergne region. The town is a part of the Natural Regional Park of the Volcanoes of Auvergne. It is located in the Massif du Sancy born 5 millions years ago. The town benefits from a preserved environment with great landscapes of lakes and volcanoes. Besse is 1 hour away from Clermont-Ferrand. Volunteer project: Poleymieux-au-Mont-d’Or is a village of 1200 residents, close to Lyon, but with a very rural and peaceful atmosphere. The village will host this summer its 4th international volunteer project in order to continue the restoration and conservation work on the ancient Hermitage of Saint Antoine, and to create connections between international volunteers and local population. The volunteers will take part in the restoration of a dry stone wall of the Hermitage. Supervised by a technical leader, you will learn how to bring up a wall using ancestral methods. You will work 4 to 5 hours a day, 5 days per week. Possible free time activities: Exploring the Beaujolais and the Mont d'Or region, visiting Lyon (only 10 km from Poleymieux), swimming, visiting a local farm, canoeing, meeting with other volunteer groups. Accommodation: In tents on the petanque ground (kitchen and showers near the camp). Ground mattresses will be provided, please bring your sleeping bag. Location: Poleymieux au Mont d’Or is a small village, with one shop only, which has preserved its rural character and peaceful atmosphere. Volunteer project: After thirteen successful years of hosting international volunteers, the municipality of Leffrinckoucke invites a new group this year to take part in the restoration of the Fort des Dunes, a military fort built in the XIXth century. 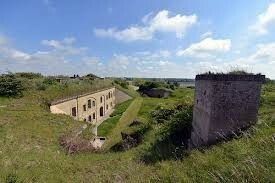 The fortress is located in the North of France, 500 meters from the beach and 500 meters from the town of Dunkirk. The goal is to develop and enhance the site so that it can be visited and used for cultural purposes by local associations and music bands, and at the same time to create intercultural dynamics by encouraging links between local people, visitors and volunteers. In the past years, many improvements were made to welcome the public: guided visits are organised, a secured guided circuit tour is offered outside, several rooms were restored including a particular one dedicated to the history of the fortification with an interactive map of Operation Dynamo. With a technical leader, you will work on various parts of the site of the fortress. The planned activities consist of clearing the outskirts, restoration of the external staircases, collecting old paving stones and branches, and clearing undergrowth off the ditches. This work will be carried out in small groups. The volunteers will help prepare and participate in a meeting with associations of the town (Beach Fest) during the weekend of August 3rd-4th, and will present the international volunteer projects. The group will also participate in the World Shrimp Hulling Championship. Accommodation: In tents (kitchen and showers in a building nearby). Mattresses are provided. Please bring a sleeping bag. Location: The town of Leffrinckoucke is located a few kilometers from the town of Dunkirk. Buses are available to reach neighbouring towns. The nearest train station is in Dunkirk, and many connections are available by TGV to Lille (35 min) or Paris (2 hours). Volunteer project: The international volunteer project aims to support the efforts for protecting and promoting the regional cultural heritage of Freixo de Numão. The objective of this program is to give continuity to an archeological research project and the desire to turn the archeological site into a museum that has been developed since 1980. The volunteers will take part in archaeological excavations at Freixo de Numão, guided by an archaeologist. The project tasks include excavation, cleaning, washing, treatment, labeling of the findings (ceramics, bones, coals, seeds). Volunteers will work 6 hours a day. Free time activities: In the spare time, volunteers will go on a boat trip on the Douro River, will visit the museums of Côa and Casa Grande, belvederes, castles, historical villages (Marialva), the prehistoric rock engravings of the Côa Valley and Douro Wine Region (UNESCO World Heritage Sites). Accommodation: Volunteers will be accommodated in a Youth Centre with 2 dormitories and 8 rooms. Wi-Fi is available free of charge. Volunteer project: Potosí was one of the most important cities in the world during the colonial period, called "Imperial Villa" because of the rich silver deposits in the Cerro Rico. During the 16th century it was considered as the largest industrial complex in the world. The extraction of silver ore was based on a series of hydraulic mills. The famous "Cerro Rico de Potosí" is a Cultural and Natural Heritage site recognized by UNESCO. The city of Potosí was declared Patrimony of the Humanity for its importance in human history. It is an important historical center of World Heritage, whose well-preserved structures and buildings attest to the events that took place here and provide an atmosphere of history and cultural richness. • Inviting representatives of authorities, institutions, local youth groups to present workshops on world heritage and the characteristics of the "Ciudad de Potosí" heritage. • Forming mixed groups for round table discussions, in which proposals for conservation, preservation and promotion of Potosi's heritage are presented. • Directing discussion groups and work towards realistic proposals that include indigenous rural population, urban population, youth, etc. • Summarizing the work done at the round tables and preparing a document of good practices on the subject. • Sharing the work done with the press, radio and television. • Reflective workshops and discussions on the theme of world heritage and the relationship between heritage and biodiversity with the participation of volunteers, local community, authorities and civil society organizations. Special requirements: Interest in history, heritage and archeology are expected. Leisure time: During the free time, cultural activities or countryside visits will be organized in order to introduce volunteers to the history, traditions and pluricultural customs of the country. Volunteers will always be in contact with the local population. Accommodation: Volunteers will be accommodated in a community center in the historic city of Potosi. Transportation from Cochabamba Airport and local transportation during the project are included. Volunteer project: This project aims to awaken youth for the traditional building techniques and the surrounding built heritage. It is a Hands-on-Approach in ancient building techniques, especially raw earth (adobe, rammed earth, CSEB (Compressed Stabilized Earth Blocks), earth plasters), fired earth as well as lime mortars and plasters. During the project, we will work on the restoration and maintenance of historic buildings, especially at the Castle and in the old Saint Francisco Convent from 1495. Cooperation, communication, self-esteem, problem solving, risk evaluation, leadership and decision making are competences that we need in order to work together while building for and with the local community. The working environment is relaxed, in the heart of an artistic city. • Cleaning and organizing working areas and tools used during the activities. Tools like brushes, trowels, shovels, spatulas will be used to perform tasks such as painting, scratching, cleaning, mixing mortar, applying mortar, etc. Free time activities: Ceramics - make your own clay project and take it home – from modeling until firing; group games, round tables, yoga, open air cinema, landscape and heritage walks (learning about the Montado Landscape, visiting the megalithic heritage and the city of Évora), concerts at the local annual fair. Accommodation: Shared rooms in the old convent. Please bring your sleeping bag. Location: Montemor-o-Novo is a small town in Alentejo region, 1h15 min from Lisbon and 20 minutes from the city of Evora. Volunteer project: Gedong Songo is one of the national heritage sites in Central Java. There are 5 temples in the area which attract a lot of people during the holidays, especially regional tourists. The site is also known for the display of the intangible cultural heritage through traditional dances, music and festivals. However, some aspects still need to be improved, such as the environmental awareness, socio-economic background, sanitation and hygiene of the local people. Most of the locals are earning a living from their vegetable gardens. The increasing number of visitors each year not only results in littering, but also vandalism on the temple, which has become a serious problem. Volunteers will help out with education and sharing knowledge on recycling through school visits, managing waste dumping, cleaning the temple, environmental education for children, and campaigns about environmental issues. The project aims to increase the awareness of local people about garbage problems (especially non organic garbage), to support tangible and intangible heritage preservation programs, cultural exchange with local people and educating students and local people to take care of their environment. The volunteer team will mainly work for changing attitudes and behaviour of local people towards their environment such as recycling garbage, personal hygiene practices related to the environment, organizing English lessons and school visits, and playing games with the children. There will be also possibilities for physical work such as cleaning the temple, planting trees, gardening, or making sign boards and garbage bins. Accommodation: With a host family, sleeping bag is needed. Volunteer project: Prai Ijing is a megalithic village on Sumba Island, most famous for its traditional houses. The houses are unique with their structure and meaning. Prai Ijing has a lot of stories and traditions that the local people still observe. The village has become one of the biggest tourist attractions in Sumba with many local and foreign visitors coming every day. However, this traditional village is in need of better infrastructure and cleanliness. Most locals don't speak English which limits the opportunity for communication and sharing about their culture and traditions. The project aims to empower the Prai Ijing community by raising awareness of the potential of local culture. The volunteers will help local people to beautify and manage their village by fixing and setting up infrastructure and will help provide information about local culture to tourists. The volunteers will also teach English to local people so that they can effectively communicate and tell about Sumba culture to visitors who come to this traditional village. Other activities within the project include mapping the village, weaving and handicrafts with local women and school visits to speak with young people about traditional culture. Accommodation: The volunteers will stay in a traditional Sumba house in Prai Ijing village, sleeping bag is needed. Volunteer project: The Buganda kingdom dates 200 years back and has a very rich history. One of the outstanding treasures of Buganda is the Kasubi Tombs which were declared a World Heritage Site by UNESCO. In 2010 some parts of the site were almost completely destroyed by a fire. After this tragedy, the Buganda Kingdom has vowed to rebuild the tombs of their kings, and the kingdom is looking for motivated volunteers to help rebuild the former glory of the kingdom by conserving, protecting and promoting the heritage site in all aspects. 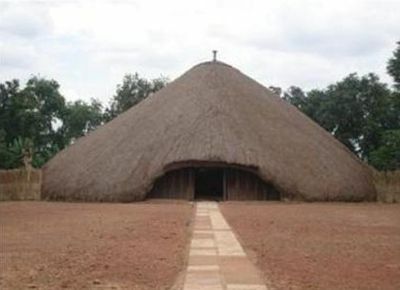 The Kasubi Tombs is the only Heritage Site of its kind in Uganda. The volunteers will be partnering with the kingdom to rebuild, restore, and document some of the activities of a two decade legacy. Volunteer tasks include: restoration, promotion and protection of cultural values and sites; intercultural exchange; social work; educational support; raising awareness; guiding and counseling; tree planting. Study theme: Protection, preservation and promotion of historic heritage, sustainable tourism and improving the livelihoods of local communities. Location: The site is located in the Central region of Uganda, Kampala district, which surrounds the capital city. Special requirements: Background/experience in environmental management, heritage management or tourism management is preferred. Accommodation: Volunteers will be provided with accommodation at the site. They need to bring a sleeping bag. Location: Ha Giang Province, Nghe An Province, Quang Nam Province, Ho Chi Minh City, Thanh Hoa province, Ca Mau Province, Dong Nai Province, and Quang Ninh Province.